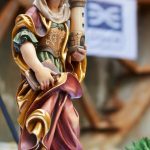 St Barbara is a Christian saint who lived in the eastern Mediterranean in the 3rd century. 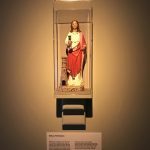 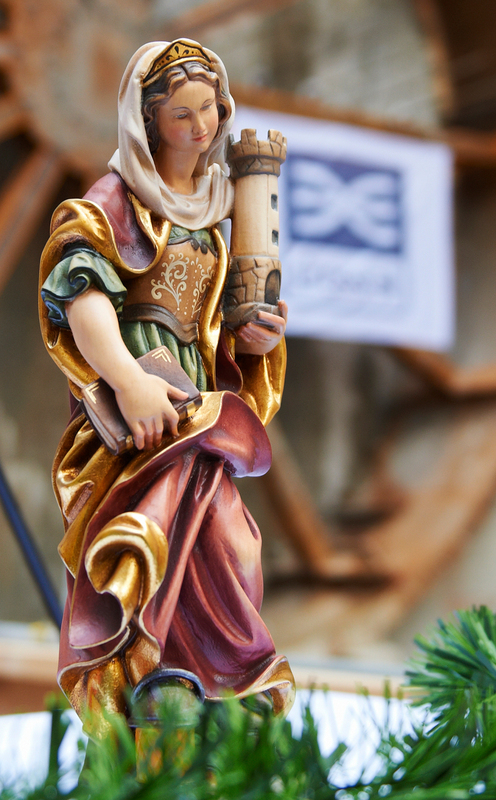 She is associated with lightning and explosives and is the patron saint of miners and tunnellers. 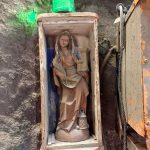 Her statue is often placed in underground work sites, such as on the Crossrail project, to protect those working there. 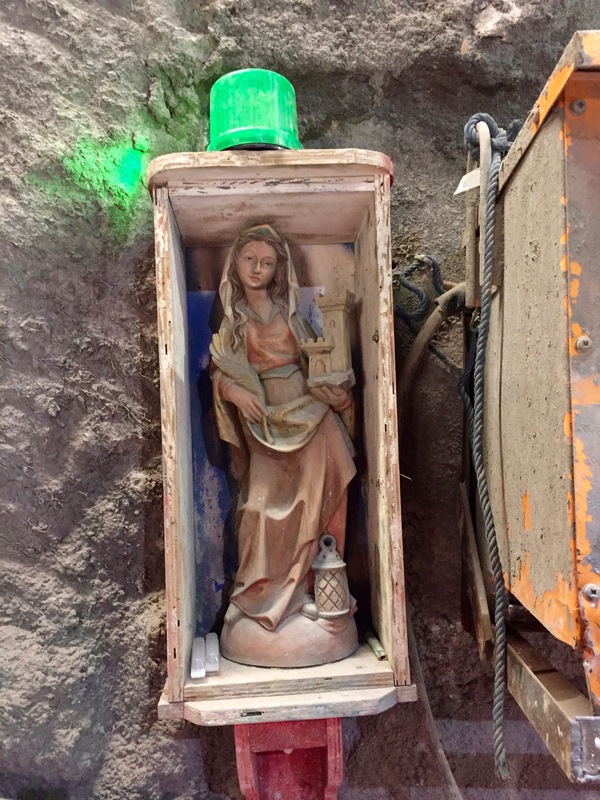 A painted statue of Saint Barbara watched over tunnel entrances during the mining works. 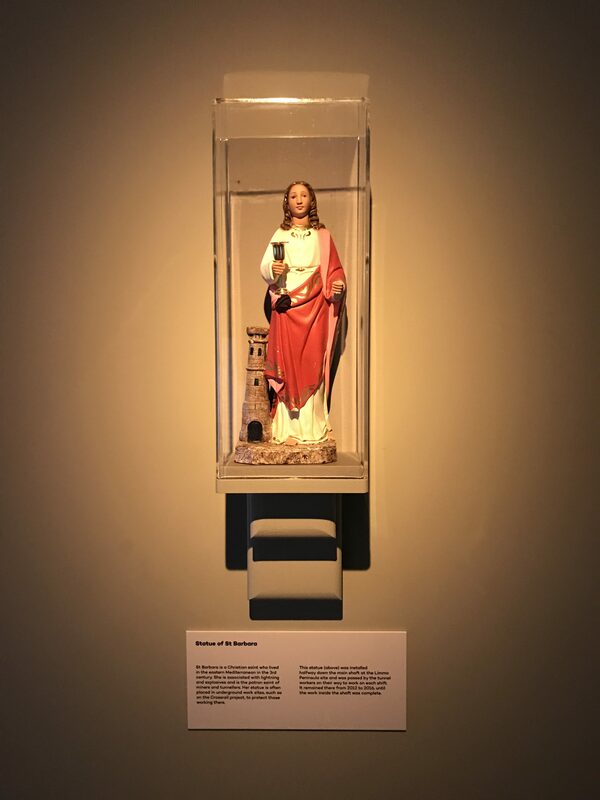 This statue (above) was installed halfway down the main shaft at the Limmo Peninsula site and was passed by the tunnel workers on their way to work on each shift. 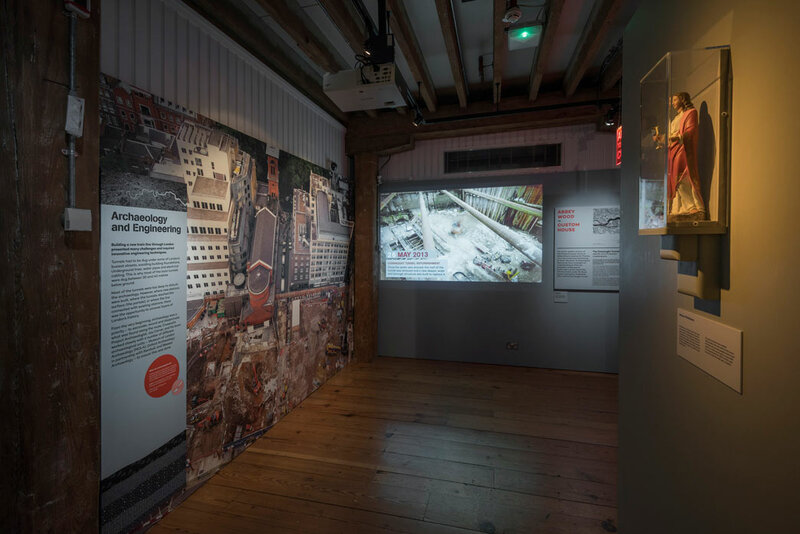 It remained there from 2012 to 2016, until the work inside the shaft was complete.